Welcome to the season finale of (Social) Contract from Below. We’ve reached the end of the season and it’s time to put a pin in all the loose ends of the season. Now before you give me a hard time about Noah’s age, let me explain that Noah’s magic skills are completely acceptable. In fact, this commander game took place after FNM got over and part of that smug little smirk on his face is that he had just beaten me to knock me down a prize bracket at FMN. (Actually this was taken after the second time he beat me that night, more on that later.) Noah was eager to play commander and already knew the rules, but had never played before. He was, however, willing to hop in and be our 5th in a pod already containing myself (playing all-creature Momir), and three of my friends playing my Oros “not blue Control,” a “goat-hug” Zedruu deck full of Chaos effects, and a not particularly powerful Joira deck. I wish I had a play by play of the events but I at least remember the highlights. Much of the time my deck was shut off due to Oros’ Torpor Orb and Zedruu’s Teferi’s Puzzle Box, making it almost impossible to dig for an answer. The Joira player spent most of the early turns telling us that he’s “not that kind of Joira deck,” then suspending three large (though admittedly not eldrazi sized) threats. He was then killed before those were ever allowed to resolve, leaving us with four. Eventually Noah and I killed the Torpor Orb (that card is surprisingly efficient at what it does), however that left me pretty low on enchantment destruction. This is incredibly relevant as it allowed Noah to stick Lurking Predators. Three rounds of turns later without any of us answering it and him dropping threat after threat onto the field meant that we were all on the ropes. He then top decked Brawn, promptly set it to fight something bigger and we in one swing we were all dead. 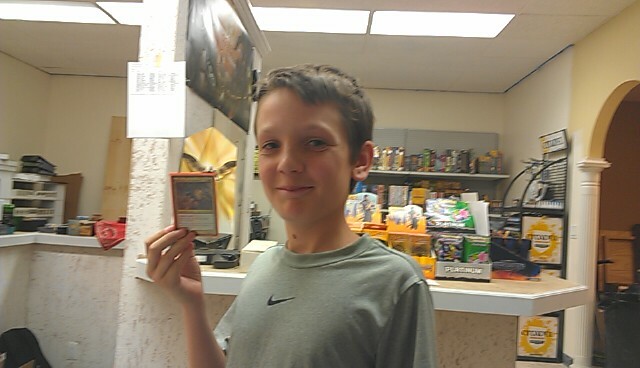 When I asked Noah what he thought he really liked the deck, though at time the board state was really confusing. He had a great time with and decided that he needed to trade for the cards to make his own edh deck. Where is my giant “Mission Accomplished” banner, we have a new convert to the format! Which brings me back to why we built this deck in the first place, getting new player to get into commander. If this project has taught me anything it’s that this format is awesome and that it’s how I wanna play magic. I highly encourage you guys as readers to step up and become ambassadors for the format. If you want to copy my (really it’s our, as you guys picked as many cards as I did) then great. If not then I encourage you to make sure at least one of your decks is user friendly enough that you can lend out. If you are looking for an even easier solution, wait until November, buy an (extra) copy of the commander pre-con that has Scavenging Ooze 2.0 in it, sell the Ooze to cover the cost of the deck and replace it with something fun, and congratulations, you now have a new deck that can showcase the format for new players. One final thing, due to the new podcast taking up a “day” on the schedule. Next season (Social) Contract from Below will be every other week, opposite Rival’s Duel. This lets me go back to producing slightly meatier articles. Also, since I no longer have Ruric Thar as a common theme for the season, I have the luxury of going back to every other week. Between these articles, Rival’s Duel, and some other things here on the site, you’ll still be hearing from me quite a bit.